The Prohibition of alcohol in America during the 1920s gave birth to some great concoctions. A few of these have stood the test of time and make a frequent appearance on cocktail lists across the world. Here’s one Prohibition cocktail and a bit about how it came to be. A popular slang phrase of the time, ‘the bee’s knees’ meant ‘the height of excellence’. 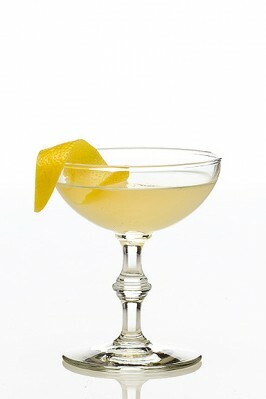 A favourite on any list of prohibition cocktails, the Bee’s Knees used honey and lemon juice to hide the repulsive taste and smell that accompanied all bootlegged bathtub gin. The sweet and sour flavours mask the alcohol well, but be warned – this one is potent, and how! Pour the gin, syrup and juice into a glass with ice cubes and shake. Strain into a glass and garnish with a lemon twist.